Lake Garda | Citrus fruits bloom and flourish in the slopes around the largest lake in Italy from April on. Our tip for your spring holiday is to be there and enjoy this. 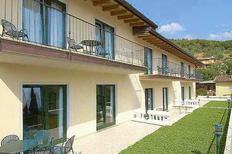 Holiday complex near Torri del Benaco with apartments for up to six people. 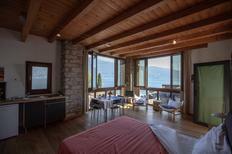 “We had a very beautiful and clean apartment in the newly-constructed building directly at the lake.” wrote one customer about this holiday apartment for four people at Lake Garda. 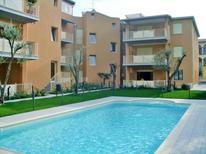 ​Lake Garda | Would you like to know which holiday home or apartment is particularly worth spending a holiday in? 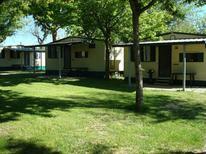 Here we'll show you the accommodation at Lake Garda, which has received the best reviews from our customers. 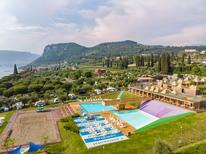 Riva del Garda | For good reason Riva del Garda was chosen as the best holiday resort in 2011: The original charm of the town and the spectacular mountain backdrop were convincing reasons. 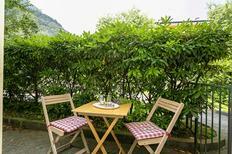 ​Malcesine | Malcesine is a real gem at Lake Garda. It has been chosen as the best Italian holiday resort 2014 on the basis of the above average reviews submitted by you in the previous year. A holiday house at Lake Garda costs on average GBP 704 in the cheap travel period and GBP 1,224 in the peak season per week. These details are of course in relation to the house and not per person as well as includes the obligatory additional charges. Whether north, south, west or east – every shoreline has it special charms. The greatest contrast must be between the hilly and rugged mountains in the north and olive groves and grapevines on the south bank. Something all shorelines have in common is the mild and Mediterranean climate as well as numerous picturesque old town centres that wait to be discovered! 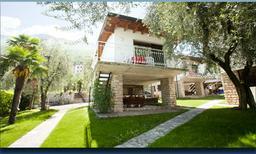 Plan an unforgettable holiday on Lake Garda with family and friends. This is the perfect place to relax, with its panoramic scenery and great weather. 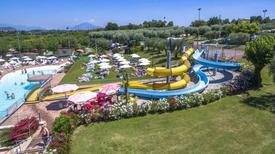 The Italian Lakes are ideal for many sports such as sailing, swimming or surfing. 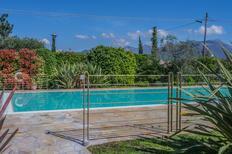 Rest and rejuvenate in your own private holiday home or apartment. Lake Garda is considered the biggest lake in Italy, spanning 50 kilometres. When you book a flat or a holiday apartment, you can accommodate couples and families comfortably. A well-equipped holiday home is a great option for a fuss-free vacation. The best period to visit the region is from May to October. 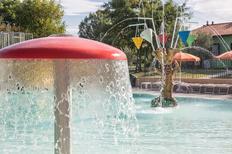 Water sports are a popular activity at this time, as the water temperature is pleasent and the sun is shining. The northen bank of Lake Garda is excellent for water sports as well as hiking and climbing. To the west, Lake Garda is popular for its summer resorts, gardens and attractions, whilst Moniga del Garda in Brescia has idyllic beaches, beautiful landscapes and a well-preserved fortress. Those who prefer a laid-back holiday can explore the stunningly picturesque town of Sirmione, part of Lombary, to the south of Lake Garda. 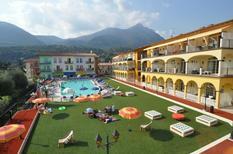 Garda Town itself is an excellent base to rent a holiday home with shops, restaurants and night spots nearby. The eastern shore of Lake Garda has a different character, with its olive groves, museums and old castles. Whether you're a thrill seeker or history buff, Lake Garda offers a huge range of acvitites for those who book an apartment on its shores. Head to the walled city of Lazise and explore its ruins for a dose of history and culture. The town of Manerba del Garda offers interesting nature hikes through the Parco Archeologico Rocca di Manerba. You can also relax in the gorgeous commune of Peschiera del Garda, which features historic and religious landmarks such as the Sanctuary of Madonna del Frassino.